In Roman mythology, Janus was the God of gates, doorways, beginnings and endings. His most prominent remnants in modern culture are his namesakes: the month of January, which begins the new year and the janitor, who is a caretaker of doors and halls. Janus is most often depicted as having two faces or heads, facing in opposite directions. He is one of the few major deities in Roman mythology that does not have a Greek origin or counterpart. 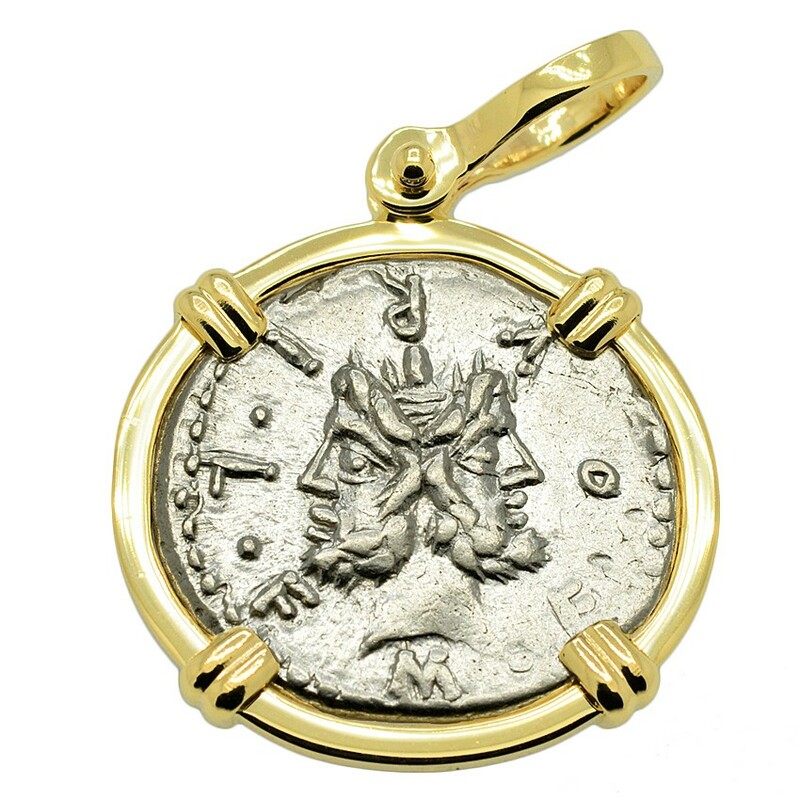 Janus (shown bearded on this coin) is also associated with the wisdom of surveying both the past and the future simultaneously. His temple in Rome was of great importance, and when its doors were open the Empire was at war somewhere. On the rare occasion when peace reigned, the doors were closed. 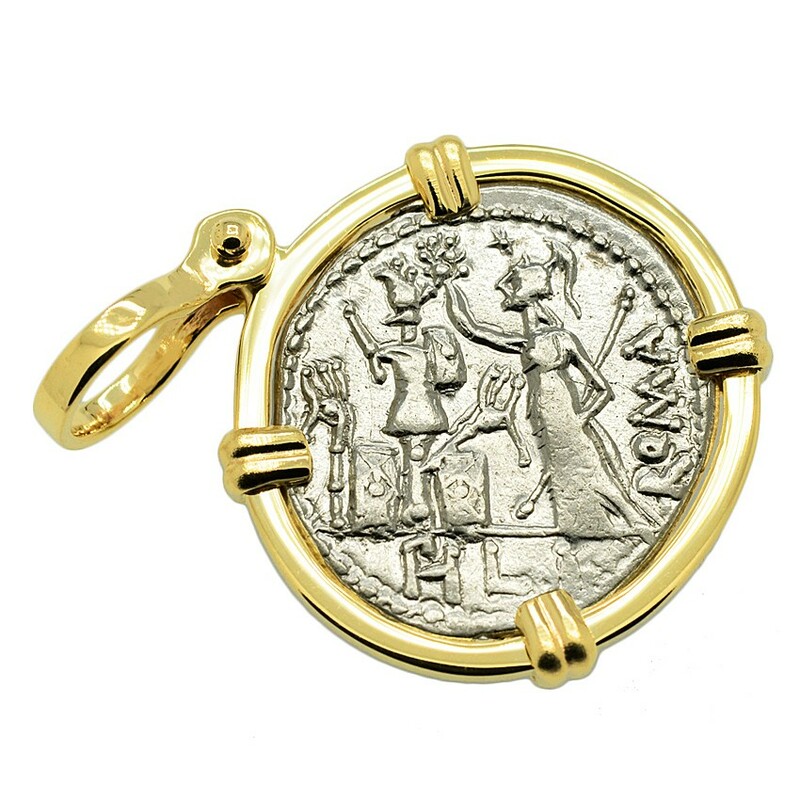 On the reverse of this coin is the Goddess Roma, who personified the glory that was the Roman Republic. She is shown holding a scepter and wreath, with a trophy composed of Gallic arms and armor at her side. Hand struck under moneyer M. Furius L.f. Philus, this is one of the few denarii types in the Roman Republican era to refer to a contemporary event. 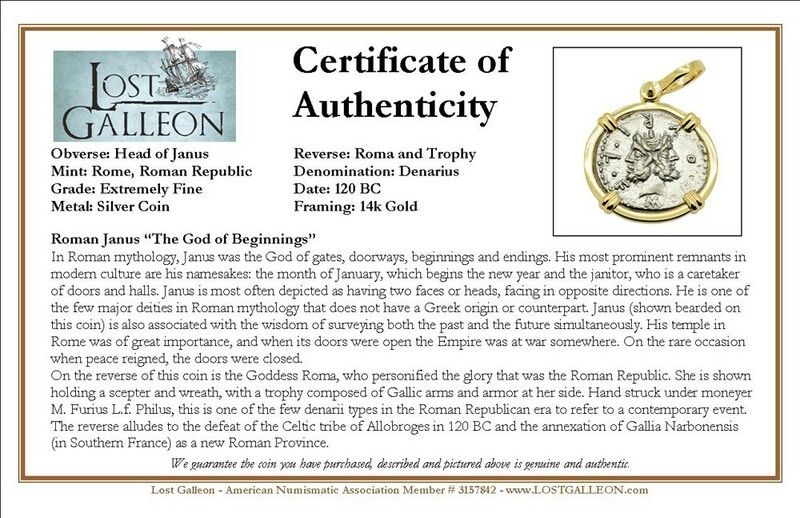 The reverse alludes to the defeat of the Celtic tribe of Allobroges in 120 BC and the annexation of Gallia Narbonensis (in Southern France) as a new Roman Province.